For manufacturers operating in today’s highly competitive global marketplace, unforeseen downtime presents a significant challenge, often leading to higher costs, missed order deadlines and even reputational issues. 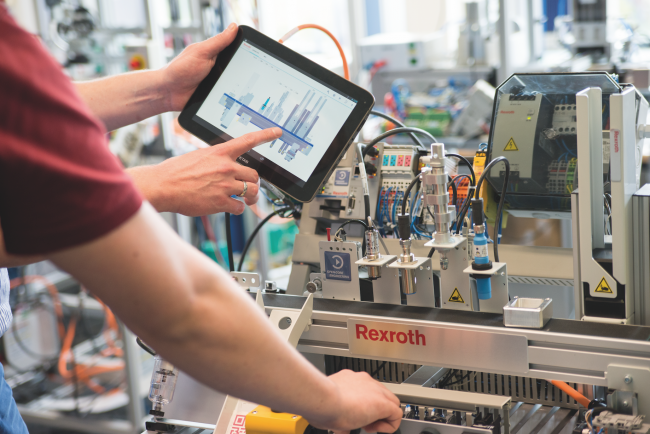 Richard Chamberlain from Bosch Rexroth explores why taking a proactive approach to maintenance is key to maximising uptime – and something which can be supported by digital solutions in today’s Industry 4.0 landscape. With maintenance-related downtime having long presented challenges for manufacturers, the process of predictive maintenance is becoming a useful tool in reducing the risk of expensive facility downtime. With the arrival of Industry 4.0, the latest technologies are moving this function to a truly anticipatory approach. Utilising the data harnessed through strategically-placed sensors, new digital solutions – which can be easily incorporated on the factory floor – generate reliable predictions and recommendations based on machine health and knowledge. Interpreting real-time data, the digital solutions facilitate the implementation of anticipatory management measures, ultimately reducing downtime. With that in mind, simply installing the means through which big data can be collected is not enough; digital solutions must be combined with the power of human intelligence. Just as when looking at the far-reaching possibilities of Industry 4.0 as a whole, a digital movement can’t achieve results on its own. In practice, data harnessed through a network of sensors must be visualised, evaluated and acted upon. 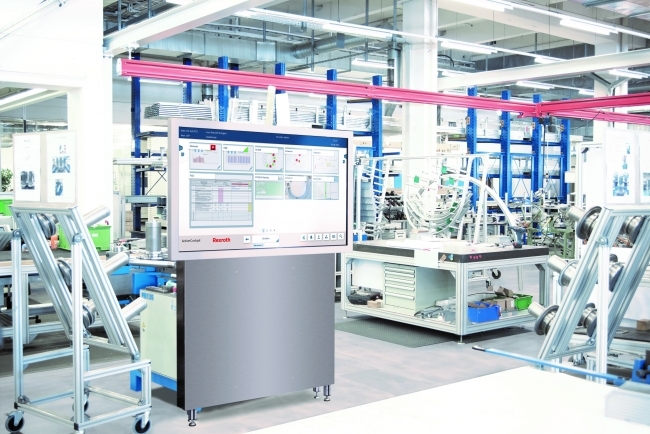 One way of doing this is through ActiveCockpit, a tool developed by Bosch Rexroth which makes it simple to collect, process and visualise the relevant data of a manufacturing facility by translating complex data and presenting it in user-friendly visuals in real-time. Once installed, this means systems and processes can be adjusted in-line with findings to achieve tangible results, immediately. To make that happen, algorithms and mathematical models are constantly at play behind the scenes, connecting patterns, pathways and predictions to be visualised to aid decision making on the factory floor. So as technology evolves to capitalise on the presence of big data and support manufacturers in their efforts to maintain maximum competitiveness, the primary drivers for manufacturers to implement these Industry 4.0 developments remain the same: to reduce costs, elevate levels of quality and increase output. On the factory floor – where components are fully networked and connected to give greater control and visibility of their performance – that can translate into a health index programme for predictive maintenance. In essence, that allows components to be replaced at the most optimal time, taking into account factors such as asset health, as well as the impact on the broader connected factory, so a smooth and efficient flow of operations is always maintained. To maximise the impact of these digital solutions, it is critical for changes to be precisely planned. Here, it is important to remember that digital technologies are highly scalable and can match even the most complex of production environments. Even legacy machinery can be brought in line with the digital future by adapting equipment to accommodate intelligent sensors, controls and drives to form the basis for comprehensive predictive analysis. Once connected to an end-to-end system, the process of predictive maintenance through machine learning is perfectly aided. Working with a supplier such as Bosch Rexroth makes such transitions easier, supporting each phase of the digital transformation, from planning right through to implementation. So as data harnessing and visualisation drives software to become smarter and factories more intelligent, it also facilitates a truly proactive approach to maintenance, helping operations to run more efficiently to deliver more consistent levels of quality and output – ultimately maximising profitability and competitiveness in today’s ever-changing global market.